Announced thirty years ago this month and three years after the original Mac, the Macintosh II and Macintosh SE both improved Apple's lineup, but in different ways. The most obviously "Mac-like" one of the pair was the SE, which was actually the fifth classic Mac in the range (after the 128K, 512K and 512Ke and the Plus) and the first one to have an internal expansion slot ("SE" stood for "System Expansion"). As with the Mac Plus, the SE included an external SCSI port which was primarily used for mass storage devices. Inside was the familiar 68000 CPU clocked at 7.8MHz with 1MB of RAM as standard (upgradeable to 4MB) and there was an optional 20MB hard drive as well. The Macintosh II was a very different proposition from the Classic Mac. The first colour Mac, the Mac II was also the first in the line to have the monitor and computer in separate boxes. Inside this was a 68020 CPU running at 16MHz with 1MB of RAM supplied as standard (expandable to 8MB). Monitors came in either 12" or 13" versions and could display up to 640 x 480 pixels in 256 colours, which was impressive for the time. The Mac II also had several internal expansion slots and could support a 40MB or 80MB hard disk in standard configurations. Both devices were expensive, the SE starting at $2900 for a basic version with no hard drive, and the II coming in at a whopping $5500 or so. For the equivalent 2017 price you can basically double that. 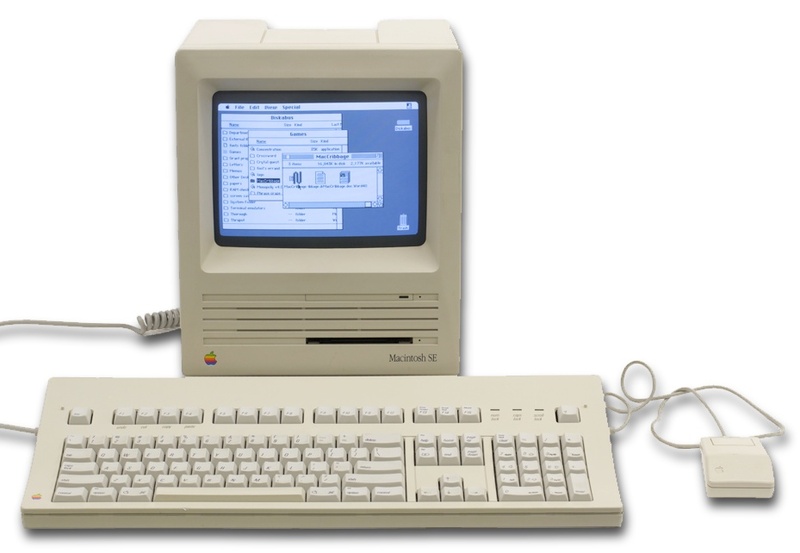 The Mac II in particular was very much against the "computing appliance" idea that Steve Jobs championed with the original Mac, but he had been forced out of the company in 1985. 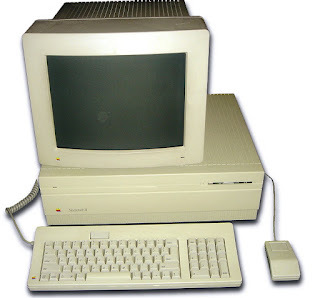 At the time though, the Mac II didn't really have much competition apart from high-end workstations and probably the closest competition was the Commodore Amiga. These two products heralded a period of strong revenue growth that came to an abrupt end in the mid 1990s, but despite that Apple became increasingly sidelined against IBM PC compatibles. Today you can pick up Mac SEs of varying quality and specification for about €150 and upwards, the Macintosh II is a much rarer beast and is hard to put a price on.